It's Thursday again, friends! 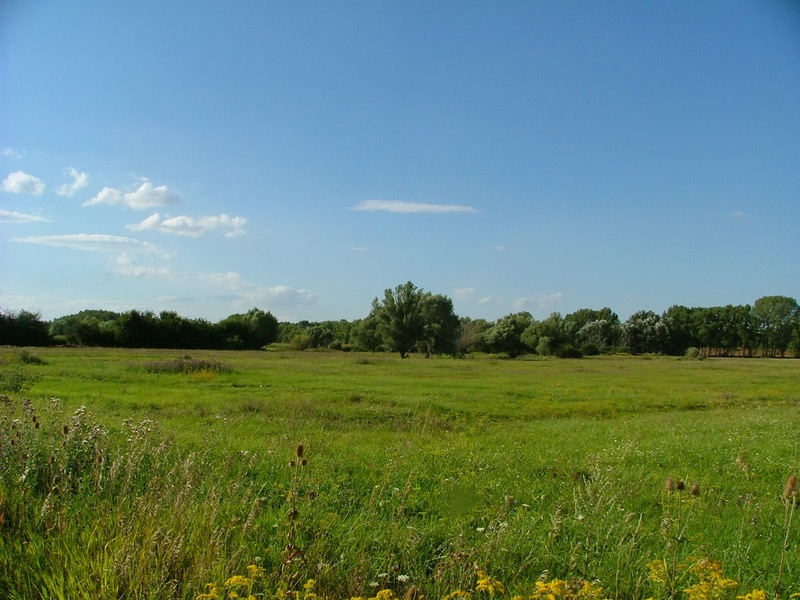 It must be spring, because lately, more and more of my family's time has been spent at the baseball field- enjoying friends, sunshine, the smell of burgers and hot dogs on the grill, and cheering for my wild thing's team. Baseball around here is about as all-American-apple-pie as it gets, and between baseball and my parents' visit last weekend, I have gotten zero sewing done. Zero, zilch, nada. It's all good though, because I wouldn't miss these experiences for the world! I also have to confess that I haven't been able to leave comments on last week's links either. I visited each and every link (and thoroughly enjoyed them), but didn't get the opportunity to comment on how fantastic they are. I always browse through the links in bed on my iPad, but use a computer to leave comments later. (It gets tough to use the iPad for 70ish comments) So, for that I apologize. Please know that NTT would not be what it is without you, and I am truly thankful for you joining in each week. A party's not a party without friends! So, without further ado, let's get right to last week's awesome highlights! 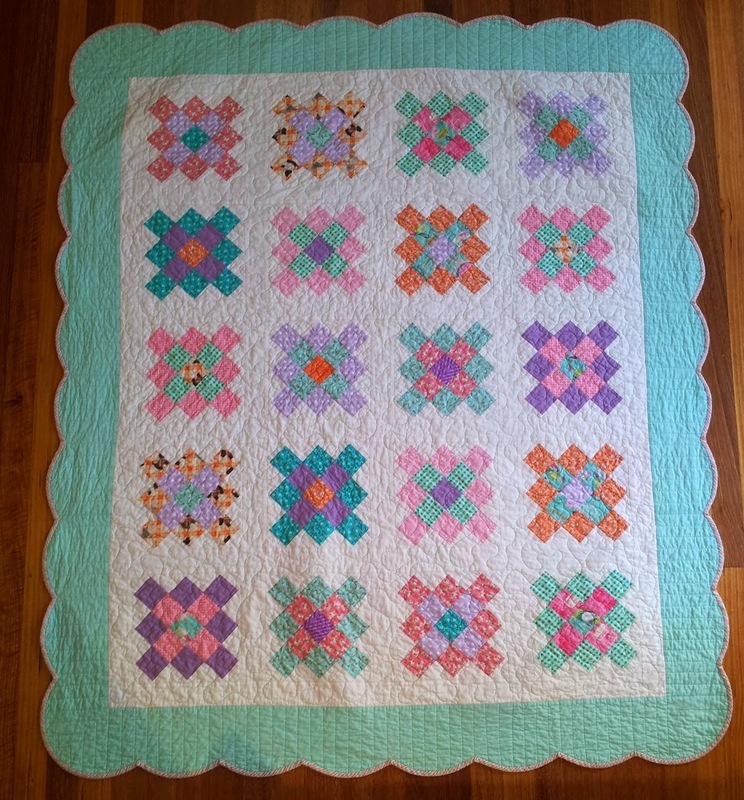 Jess at Quilty Habit linked up this Radiant Orchid showstopper. It rocks- front AND back! Ella and Nesta's Little Room shared this low volume quilt, and I love the large single block, and the soothing feel of the low volume fabrics. 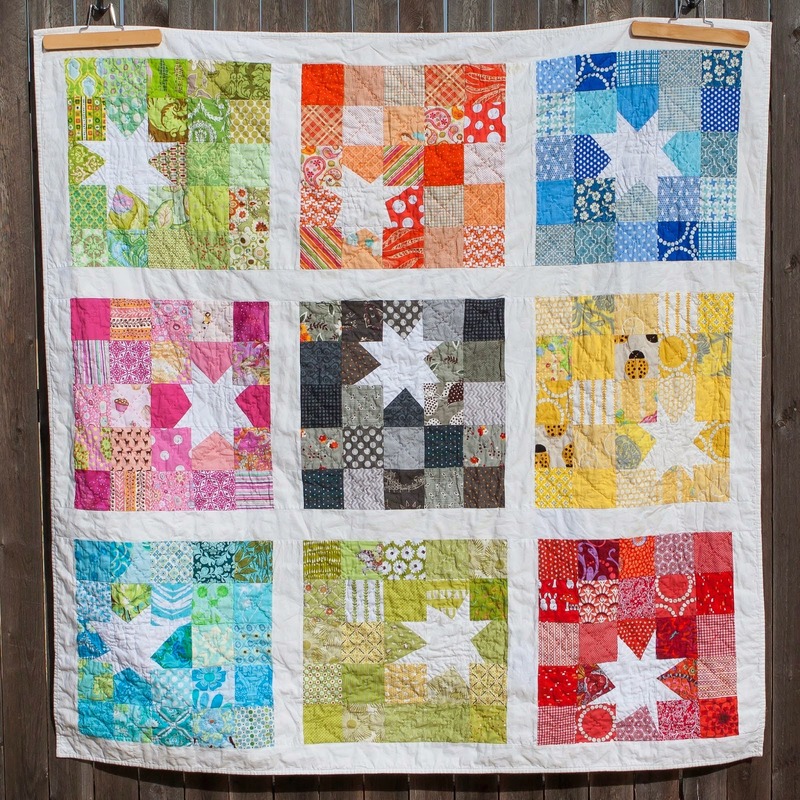 and Amanda at The Cozy Pumpkin showed off this bright, happy rainbow quilt! The "scattered" look of the stars is so neat! Let's get to the party, shall we? I had a wonderful visit with my Mom and Dad this weekend, and I finished up my latest quilt on Thursday night, just in time to give it to my Mom when she arrived. Red bricks, scrolled wrought iron, and lush plants create a gorgeous space where I think this quilt would look right at home. 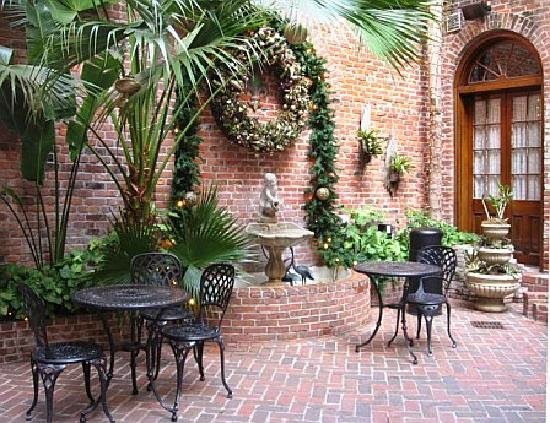 Somehow, the wooden deck, iron chair, and brick on my house don't create quite the same ambiance, but hopefully you get the idea! I used every bit of the layer cake in the front of the quilt, so there wasn't any left for the backing, or even the label. I used a tan tonal paisley for the backing, and as a bonus, it came in an extra-wide bolt, so no seams necessary! I also had to find a fabric for the label that would blend well with the French General for the label, and decided to go with a red and tan gingham to keep the French-country feel. The binding is Kona Espresso, and I just love that rich brown with the reds and shades of beige and tan. My mom absolutely loves her quilt, and I am so glad. I just know it will look perfect in their home in Louisiana. I mentioned in my last post that in addition to finishing up Candy Dish, I also managed to get another quick quilt top put together. This is now the third quilt that I've made with the Chateau Rouge fabric line by French General, and this one's for my Momma. 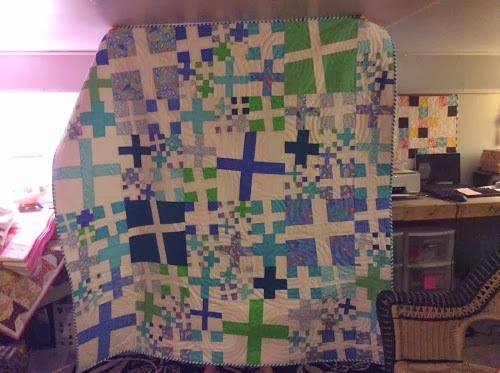 Last year, I made this big D9P for myself using a layer cake of this line and both my mom and grandmother fell in love with the fabrics. Incidentally, this was my very first foray into free motion quilting, and let's just say that I'm glad you can't see the quilting up close in this photo. Since they both loved the fabrics so much, and mentioned that they would love a quilt made with them, I snatched up two more layer cakes and put them away until inspiration struck. I don't usually enjoy repeats, but I ended up spacing these three quilts out enough that it didn't get boring at all. I made French Quarter Charm for my grandmother and gave it to her for Christmas. The toughest part of making three separate quilts with identical layer cakes has been trying to make each one a little unique. Also, I wanted to be sure that I didn't cut the squares too much. 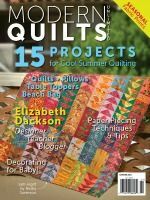 A lot of cutting means too many seams, and too many seams would shrink the size of the quilt, and when your fabric is limited, that just won't work. As it so happens, my Mom is coming to visit this weekend and I would love to be able to finish it up so she can take it home with her! Today, Janet from Simply Pieced hosted a sew-in at her house for our local MQG (happy International Quilting Day, y'all! ), and I took the opportunity to finish up my kaleidoscope quilt, along with a new quilt top (but I'll save that for another post). It was so much fun to spend the whole day chatting with friends who understand my love of all things quilty and have hours of uninterrupted sewing time. Sewing, lunch out, and more sewing was a perfect way to spend the day as Spring Break comes to a close. 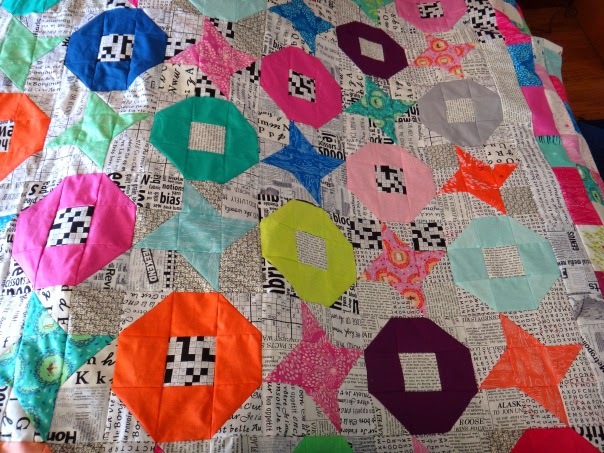 I just LOVE the way this quilt turned out. It's so bright and cheerful, and just makes me smile! 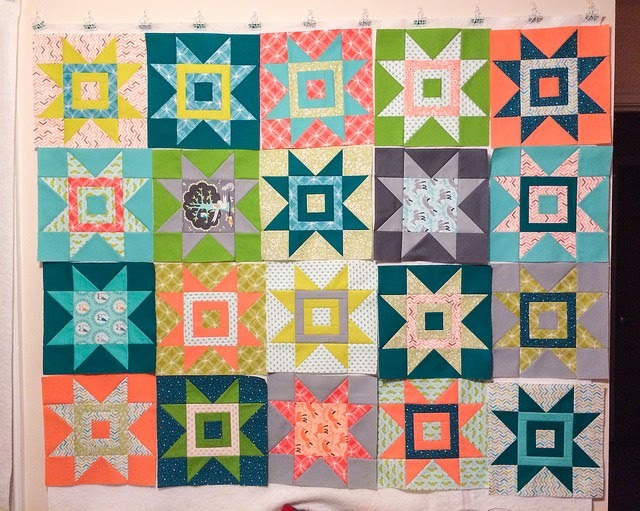 I kind of worried that adding the border would break up the kaleidoscope illusion, but I really like it, and the Kona Corn Yellow binding frames all of the colors without drawing your eye away from the center of the quilt. I decided to call this quilt Candy Dish. It just reminds me of vibrantly colored candies in a beautifully cut glass bowl. 1. It's a wonderful surprise. 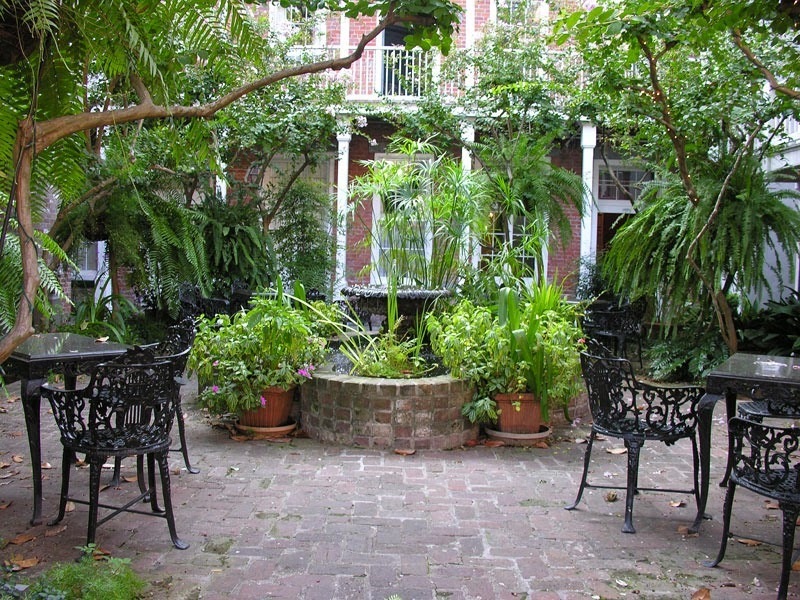 In Louisiana, we have a French word, "lagniappe" (pronounced lan-yap), which means "a little something extra." I like to think of a pieced backing is just a little bit of lagniappe for the recipient. 2. It keeps your sewing fun. 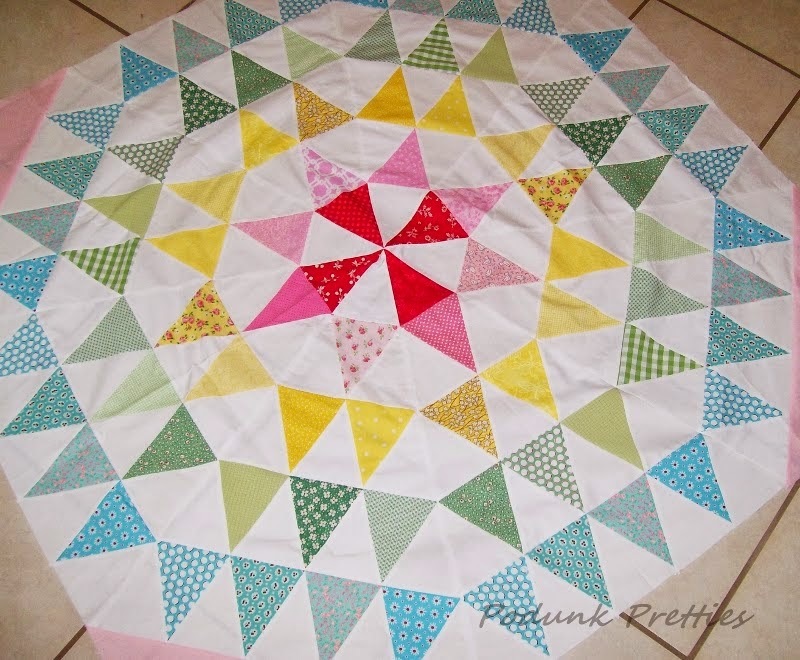 The cool thing about a pieced backing is that there is no right or wrong! You can use the fabric you have, and sew it together however you want. This carefree way of sewing is really fun, and the end result is fresh and modern. 3. Fabric variety rules! I just love quilts with tons of fabric variety, but without pieced backings, my scrap baskets would be overflowing all the time! Using every bit of the scraps in the backing allows me to have more variety in the front, and it keeps me from having to buy several yards of a single backing fabric, win-win! 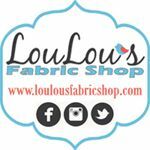 I do have to confess that if I really love a fabric, I will save a few small pieces for my scrap baskets. 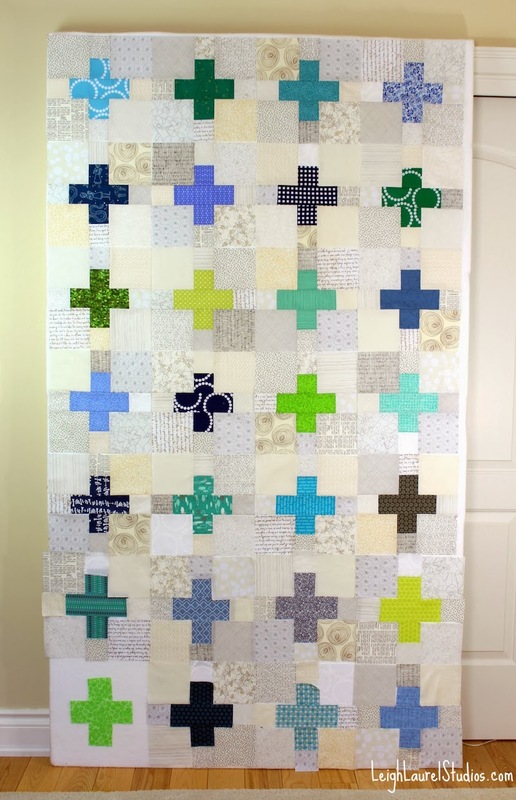 That way, when I do make a true scrap quilt, it is full of fabrics I love! 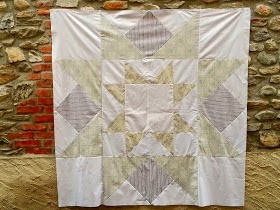 If you've never done a pieced backing, I hope you'll give it a try. Let me know if you do! It's not quite finished yet. I think I might add a pieced border to make it a little bit bigger. It measures 48x48 right now, which is a good baby quilt size, but I would like to make it closer to 60x60. I just think that size is a little more versatile. 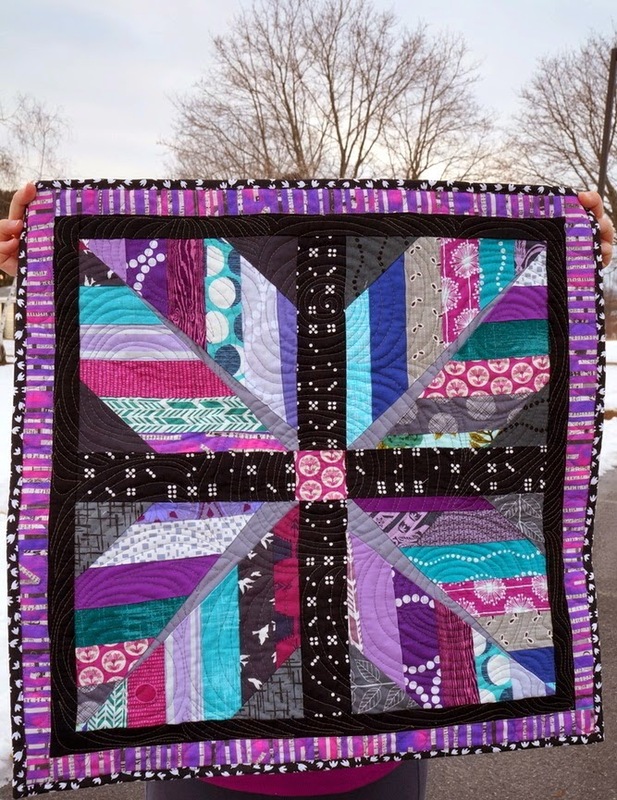 I love the kaleidoscope pattern, particularly with the huge variety of fabrics in this quilt. There are 16 different fabrics in this one. When I start pulling fabrics for a "rainbow" type quilt, I just can't stop! 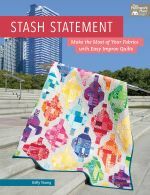 I always justify it to myself though by saying that it just gives me more to work with for the backing- and, you know using so many in one quilt also allows me to keep on fabric shopping! 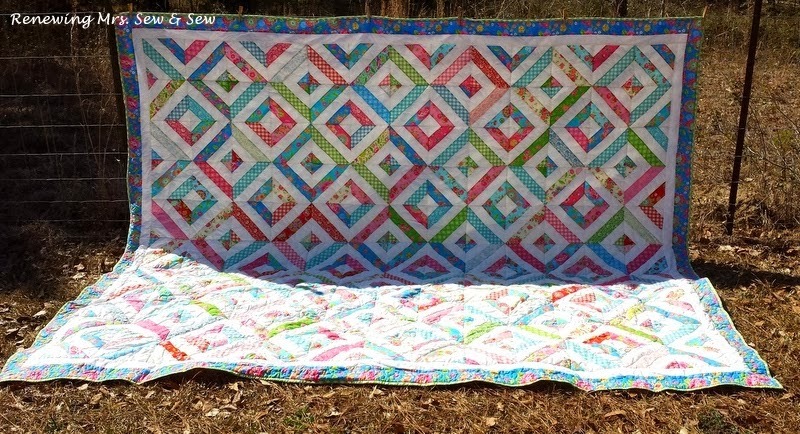 Curlyque Sue shared her sweet Granny Square quilt. I love the scalloped edge! and Renewing Mrs. Sew and Sew showed off this lovely quilt. I love how the sunshine behind it just makes it glow! What have you been working on lately? With studying for my exam, I feel like I've really missed a lot! I can't wait to see! **By the way, I'm adding a little request to the party from now on, and I hope you understand. 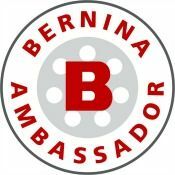 I'd really like for your link to include a project you're working on (in any stage), or a tutorial you'd like to share, rather than just a link to another party or giveaway. 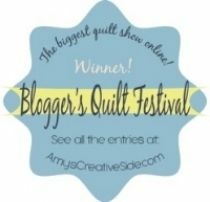 I absolutely LOVE giveaways and link parties (who doesn't? ), and if your post includes a project as well as a giveaway or linky, then bring it on! 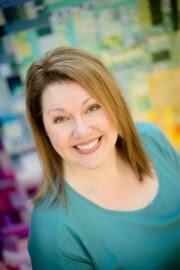 Thanks for helping to keep NTT a place to find awesome inspiration and fuel for your creativity! Yes, I have totally aged myself as a child of the 80's and early 90's. But, we are who we are I guess! 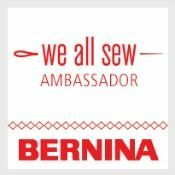 Welcome to another Needle and Thread Thursday! Well, I wanted a snow day. I begged, and pleaded, and prayed for a snow day- and our weather obliged with an ice storm that has afforded us three! I wish it had fallen in the form of snow and not ice, but beggars can't be choosers you know. Three days at home... yippee! I'm sad to say that I haven't been spending all of that wonderful time sewing. It's funny that we got our days off on the week that I've sworn off quilting in favor of more responsible behavior. I have been studying for my exam (not nearly as much fun), which is now only three short days away. Of course, I'm happy to have been afforded all of this extra time to prepare, as it has saved me from what I know would have been some late nights. Although I don't have any projects to show you, I do have some fun news! 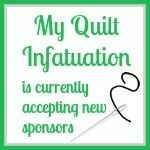 I'm happy to welcome Dragonfly Fabrics as a brand new sponsor! 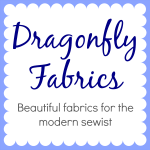 Dragongfly Fabrics has a beautiful selection of modern fabrics at fantastic prices, including yardage and precuts- and they have a great sale section! Some of their newest collections include Art Gallery's Sweet as Honey, Meadow, and Littlest. 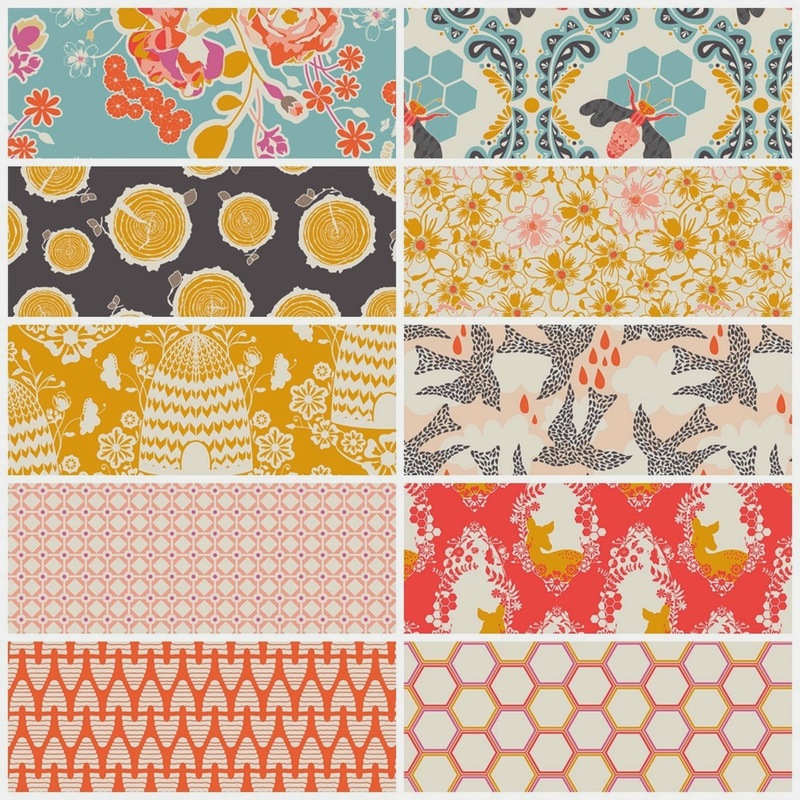 A few of the really cool things about Dragonfly Fabrics is that they offer a new sale every two weeks on a different fabric line, as well as bulk pricing on cuts 3 yards and up! To check out their weekly sale page, click HERE! 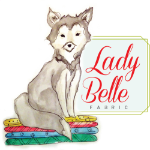 I'm so excited to let you know that Amy at Dragonfly Fabrics is offering a special sale to my readers- 15% off of your order of regular priced yardage! Use the code MQI15. This special coupon is only good through March 8th, so hop over and check it out! 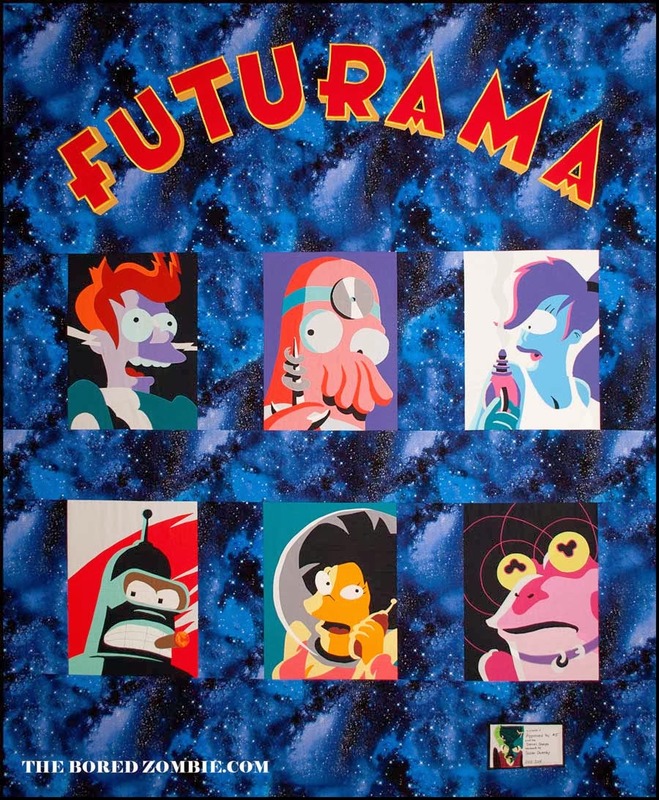 and Susan at The Bored Zombie revealed her graphic Futurama masterpiece that has been weeks in the making! What a fabulous party! I can't wait to see what you link up this week! Let's party!